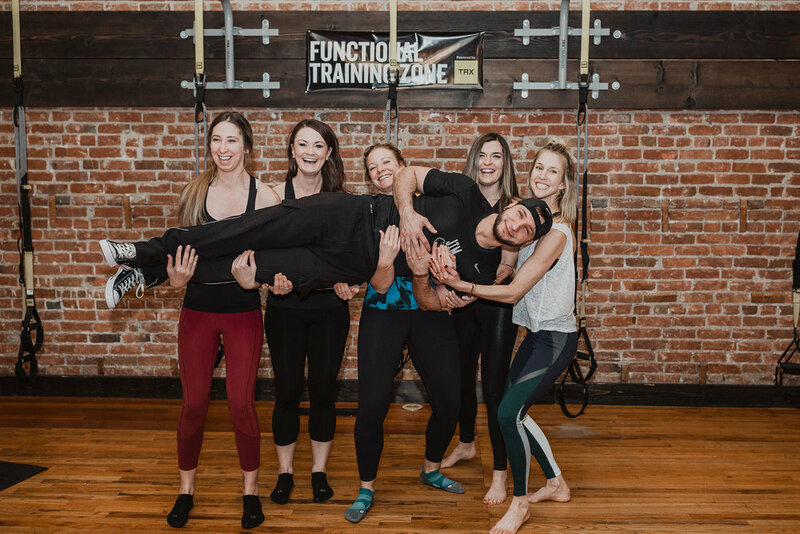 JIM IS ON A MISSION TO HELP INDIVIDUALS ACHIEVE A MORE FUNCTIONALLY FIT LIFESTYLE AND HEALTH CONSCIOUS MINDSET THROUGH DIVERSE PROGRAMS FOCUSING ON REALISTIC, WHOLE-BODY MOVEMENTS. JIM is Columbia Falls’ premier fitness studio, offering several disciplines to tackle any health and fitness goal. JIM will provide you with every platform and tool you'll need to achieve your best and most healthy self. From group fitness classes, personal training, and nutritional guidance or meal prep planning, JIM's team of qualified professionals will meticulously design plans, outline goals and take the steps needed to ensure the success of each member's health and fitness goals. JIM's foundation is built upon functional human movement patterns that aid to improve activities of daily living so you're able to conquer all of Montana's adventures year around. Whether you feed off your peers and love the group fitness atmosphere, or you're looking for one-on-one specialized athletic performance enhancement, JIM will take care of you. JIM offers a variety of time slots and classes to get you moving, in a group setting. 🤩Guess who’s back TOMORROW at 8:30am !? Coach @lizzy.dwyer is taking over 8:30 Wednesday’s Total Body Circuit! We are so excited to have her bubbly energy and enthusiasm 🤟🏻🙌🏼to get us through the mid-week slump! Save your spot quick! ⛓ time under tension and isometric holds are key to progressing towards your fitness goals 💎 ➡️ try taking your movements a little slower, adding timed holds to give a little variation and flare ! 🍑Booty Barre🍑 @ 8:30am today before your weekend kicks off! @pursuefitness406 leading you at the barre and into the weekend! #RepostPlus @kait_fitstagram - - - - - - Wednesday’s are a bit different for me with my new 🌸spring🌸 class schedule! Join me on the bike 🚲 at 9:00am and 12:00pm @sobbacycle And a NEW class time @jim_cfalls of 4:30pm TRX Power ! I’ve got free class passes for you to join me at any one of my times above 👯‍♀️ 😏 happy hump day! !